Introduction. Propolis has been used in traditional medicine for centuries, while in recent years it has attracted great attention as a valuable or potential substance used in medicine1,2,3. Clinical experiences and scientific evidence point to its wide therapeutic potential in the treatment of respiratory tract diseases as well as the diseases of oral cavity, the digestive system and the skin. Propolis exhibits a broad spectrum of biological activities, such as anticancer, antioxidant, anti-inflammatory, antibiotic and antifungal. It also successfully resolves problems with Candid in the oral cavity and intestines. Propolis has shown interesting biomedical properties, such as improving wound healing, tissue regeneration stimulation and skin psoriasis treatment. Aim. The aim of this paper is to demonstrate the propolis effectiveness in treating bacterial infections of the throat and nose, the Candida infection of the tongue, as well as chronic wounds and psoriasis. Materials and Methods. Experiences in the treatment of psoriasis and chronic wounds with propolis. In this paper, the author has used propolis as tincture, nasal spray, oral spray, propolis cream for chronic wounds and cream for psoriasis. Results. The results confirm the propolis therapeutic efficacy. Propolis possesses antioxidant, anti-inflammatory, antibiotic, antifungal and regenerative properties. Conclusion. Therapies with propolis offer new possibilities for treatment. Propolis, a medical miracle from the hive, has given encouraging results in the treatment of bacterial and fungal infections, as well as in the treatment of psoriasis and chronic wounds. Propolis has been attracting scientific attention since it has many biological and pharmacological properties. Propolis has excellent chances to become an antibiotic of the future. 1. Nunan, R., Harding, K. G., & Martin, P. (2014). Clinical challenges of chronic wounds: searching for an optimal animal model to recapitulate their complexity. Disease models & mechanisms, 7(11), 1205-1213. 2. Kucharzewski, M., S. Kubacka, T. Urbanek, K. Wilemska-Kucharzewska, and T. Morawiec. (2013) Stan scheller: the forerunner of clinical studies on using propolis for poor and chronic nonhealing wounds. Evidence-based complementary and alternative medicine 2013. 456859. 3. Kuropatnicki, A. K., Szliszka, E., & Krol, W. (2013). Historical aspects of propolis research in modern times. Evidence-Based Complementary and Alternative Medicine, 2013. ISNAD MILOJKOVIC, Verica . "Propolis: A Natural Product – Great Potential as a Medicine". 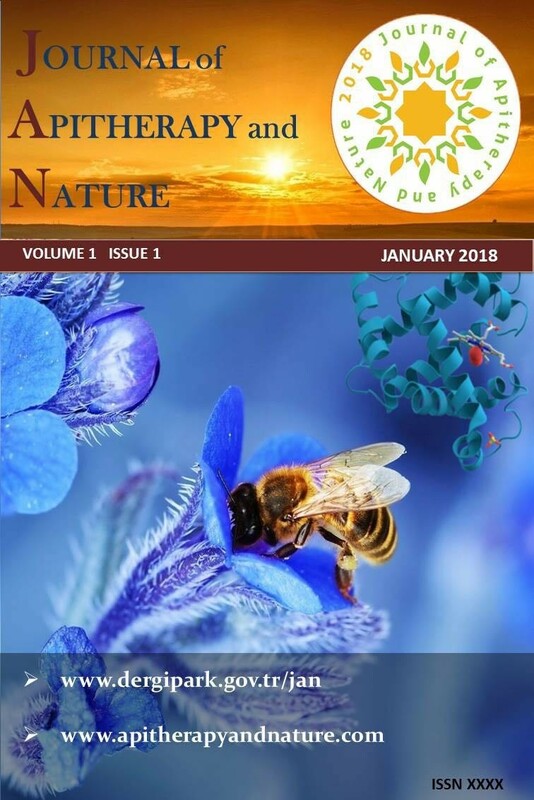 Journal of Apitherapy and Nature 1 / 3 (December 2018): 13-13.